Now that the weather has warmed up after this cold winter, we’re all clamoring to get outside – and Arthur and his friends are no different! 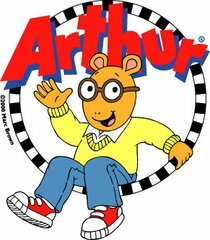 In fact, this week is Outdoor Week on Arthur. Outdoor Week includes the premieres of two all-new Arthur episodes on CET and ThinkTV16. The first is “Speak Up Francine/Waiting for Snow,” which airs on Monday, April 21 and encores on Wednesday, April 30. The second episode is “Pets and Pests/Go Fly a Kite,” which airs on April 22 and encores multiple times in May. These episodes focus on teaching important values, such as speaking up for what you believe in, patience, sharing and teamwork. A new Arthur digital game, “Backyard Jungle,” will also launch this month. In “Backyard Jungle,” kids will join D.W. and Bud as they embark on an epic adventure using the power of their imaginations.